Dr. Todd B. Kashdan's broad mission is to increase the amount of well-being in this world as a professor, scientist, writer, and consultant. 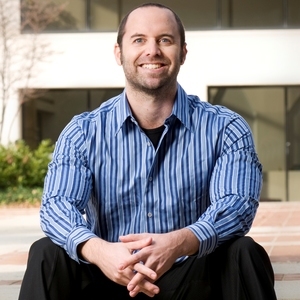 He uses cutting edge science to help people function optimally in life and business. He is an Associate Professor of Psychology and Senior Scientist at the Center for Consciousness and Transformation at George Mason University. He received the 2013 Distinguished Scientific Early Career Award from the American Psychological Association. He has published over 150 scholarly articles and authored Curious? Discover the Missing Ingredient to a Fulfilling Life (William Morrow), Designing Positive Psychology (Oxford University Press), and Mindfulness, Acceptance, and Positive Psychology: The Seven Foundations of Well-Being (New Harbinger). He has given keynotes and workshops to organizations as diverse as the Air Force, General Mills, Gensler, and Gap. His research focuses on social relationships, positive emotions, purpose in life, anxiety, how personal strengths operate in everyday life, and how to foster and sustain happiness and meaning in life. For 15 years, he has been teaching college courses on the science of well-being. He's a twin and has twin 6-year old daughters, with plans to rapidly populate the world with great conversationalists. Kashdan, T. B., & Ciarrochi, J. (2013). 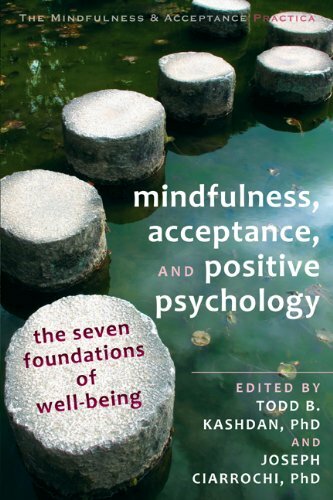 Mindfulness, acceptance, and positive psychology: The seven foundations of well-being. New Harbinger Publications: Oakland, CA. Kashdan, T. B., Adams, L., Savostyanova, A. A., Ferssizidis, P., McKnight, P. E., & Nezlek, J. B. (2011). Effects of social anxiety and depressive symptoms on the frequency and quality of sexual activity: A daily process approach. Behaviour Research and Therapy, 49, 352-360. Kashdan, T. B., Barrios, V., Forsyth, J. P., & Steger, M. F. (2006). Experiential avoidance as a generalized psychological vulnerability: Comparisons with coping and emotion regulation strategies. Behaviour Research and Therapy, 9, 1301-1320. Kashdan, T. B., Breen, W. E., & Julian, T. (2010). Everyday strivings in war veterans with posttraumatic stress disorder: Suffering from a hyper-focus on avoidance and emotion regulation. Behavior Therapy, 41, 350-363. Kashdan, T. B., Dewall, C. N., Pond, R. S., Silvia, P. J., Lambert, N. M., Fincham, F. D., Savostyanova, A. A., & Keller, P. S. (2013). Curiosity protects against interpersonal aggression: Cross-sectional, daily process, and behavioral evidence. Journal of Personality, 81, 87-102. Kashdan, T. B., Farmer, A. S., Adams, L., Ferssizidis, P., McKnight, P. E., & Nezlek, J. B. (in press). Distinguishing healthy adults from people with social anxiety disorder: Evidence for the value of experiential avoidance and positive emotions in everyday social interactions. Journal of Abnormal Psychology. Kashdan, T. B., Ferssizidis, P., Collins, R. L., & Muraven, M. (2010). Emotion differentiation as resilience against excessive alcohol use: An ecological momentary assessment in underage social drinkers. Psychological Science, 21, 1341-1347. Kashdan, T. B., & McKnight, P. E. (2010). The darker side of social anxiety: When aggressive impulsivity prevails over shy inhibition. Current Directions in Psychological Science, 19, 47-50. Kashdan, T. B., McKnight, P. E., Richey, J. A., & Hofmann, S. G. (2009). When social anxiety disorder co-exists with risk-prone, approach behavior: Investigating a neglected, meaningful subset of people in the National Comorbidity Survey-Replication. Behaviour Research and Therapy, 47, 559-568. Kashdan, T. B., & Nezlek, J. B. (2012). Whether, when, and how is spirituality related to well-being? Moving beyond single occasion questionnaires to understanding daily process. Personality and Social Psychology Bulletin, 38, 1526-1538. Kashdan, T. B., Sherman, R. A., Yarbro, J., & Funder, D. C. (2013). How are curious people viewed and how do they behave in social situations? From the perspectives of self, friends, parents, and unacquainted observers. Journal of Personality, 81, 142-154. Kashdan, T. B., & Steger, M. (2006). Expanding the topography of social anxiety: An experience-sampling assessment of positive emotions, positive events, and emotion suppression. Psychological Science, 17, 120-128. Kashdan, T. B., & Steger, M. F. (2007). Curiosity and pathways to well-being and meaning in life: Traits, states, and everyday behaviors. Motivation and Emotion, 31, 159-173. Kashdan, T. B., Weeks, J. W., & Savostyanova, A. A. (2011). Whether, how, and when social anxiety shapes positive experiences and events: A self-regulatory framework and treatment implications. Clinical Psychology Review, 31, 786-799. Niemiec, C. P., Brown, K. W., Kashdan, T. B., Cozzolino, P. J., Breen, W., Levesque, C., & Ryan, R. M. (2010). Being present in the face of existential threat: The role of trait mindfulness in reducing defensive responses to mortality salience. Journal of Personality and Social Psychology, 99, 344-365.